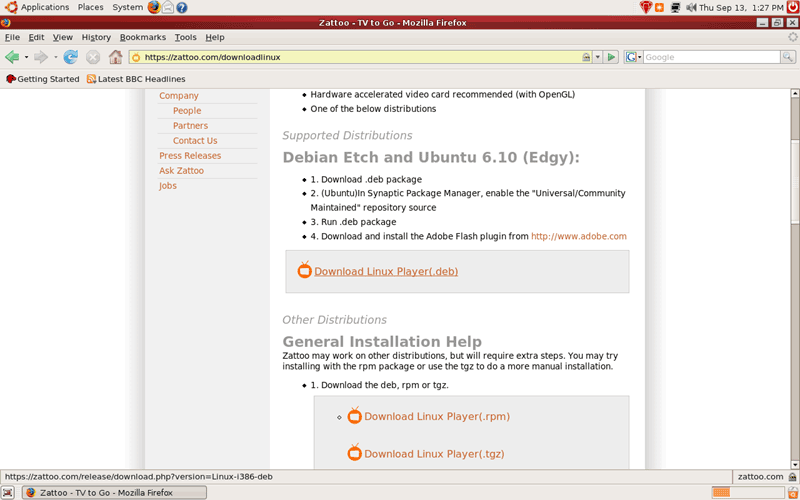 Zattoo delivers free Live-TV (P2P IPTV) to Linux, Windows, and Mac desktops. Depending on the country you live in you can select between multiple real TV stations to watch (if Zattoo is available in your country). 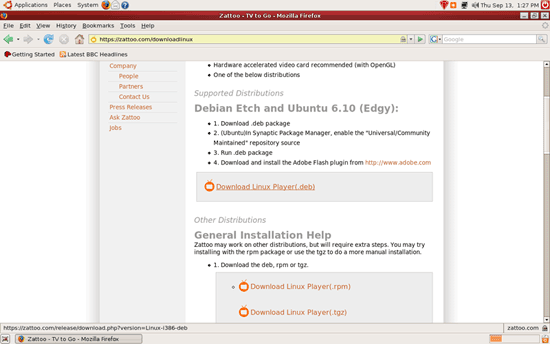 This article shows how you can install the Zattoo player on an Ubuntu desktop. 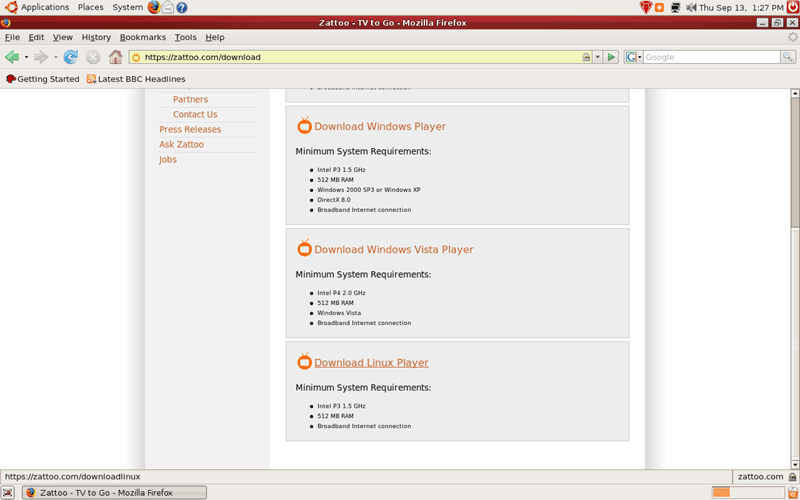 I have tested this on an Ubuntu Feisty Fawn (7.04) desktop, but it should work on other versions/flavours of Ubuntu as well. 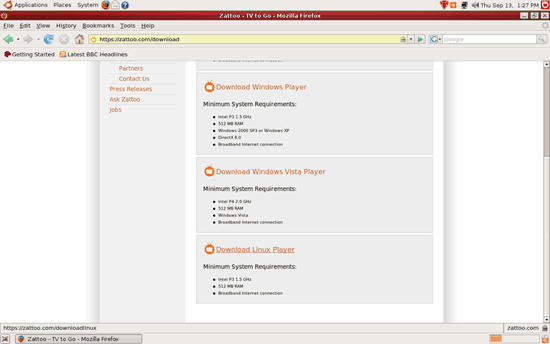 Before you can download the Zattoo player, you must register on the Zattoo web site. It's possible that Zattoo isn't available yet in your country - the Zattoo web site will tell you if this is the case. 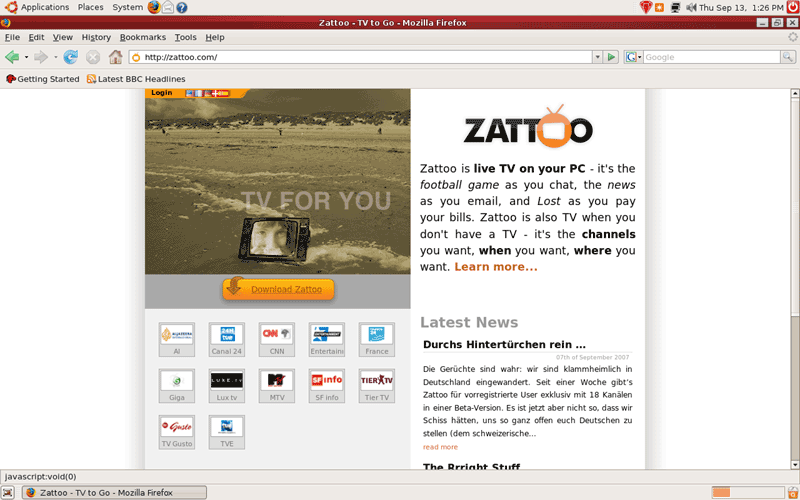 Here in Germany Zattoo has gone live for everybody today (September 13, 2007). It's great information but unforunately Zattoo is a very poor service to use, mostly because it's geographically limited to Europeans. And it only carries European channels, but using the same process that Falko has written here you can try it with these services as well, some are live tv like zattoo while others are just videos - which are flash but should still work 100% in Linux. Actually all you need to access Zattoo is a VPN. I moved abroad from the UK still have complete access to all UK TV via the internet. To watch any geo restricted anywhere in world you need to use VPN to watch Zattoo.You can also watch iPlayer (BBC UK), Hulu, Netflix, Youtube, etc anywhere in the world.